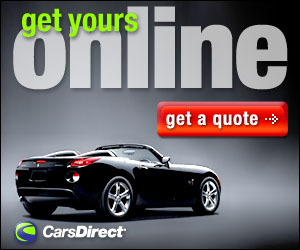 The type of vehicle we own can say a great deal about who, or what, we are. A sports car can show us as someone who likes adrenaline rushes, life in the fast lane; a minivan tells the world we are family oriented; a Prius shows that we make very bad decisions. Owning a pickup truck can say a lot about you as well. Hard working, a small business owner perhaps, or farmer. 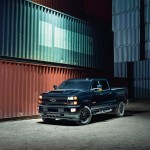 Pickup trucks, like high end luxury vehicles, or muscle cars, can make a statement to the world. Few make a louder statement then the truck I had for a recent week, the 2017 Chevrolet Silverado. 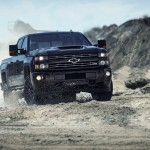 Specifically, the 2500HD High Country 4 Wheel Drive Duramax diesel. There are plain trucks, ones that can blend into the background. The Silverado is not among that category however. This huge beast is an in-your-face-I-own-the-road machine that neither glides easily over the road, or zips through traffic. And that’s not a bad thing at all. 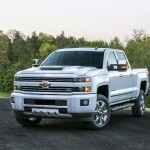 The Silverado got a redesign for 2015. For 2017 there haven’t been any drastic changes beyond the addition of a new Duramax 6.6L turbo-diesel V-8 engine with a 19-percent increase in torque over the previous model, a few tweaks to some packages (Alaskan Edition includes the snowplow prep package among other things for example), and some new colors. 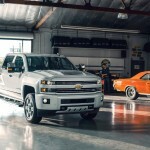 There’s still four levels to the Silverado, along with rear- or four-wheel-drive, three cab and three bed configurations, and the choice of a gas or diesel V-8 engine. 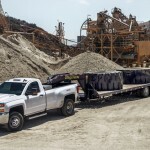 The WT (Work Truck), which is primarily sold to fleet buyers, the LT that gives you OnStar, power adjustable side mirrors, upgraded wheels and such; the LTZ that adds chrome accents, 18-inch wheels, fog lights, leather trimmed upholstery as well as such niceties as duel-zone climate control. The High Country is the top of the line that sits atop 20-inch alloy wheels, and has heated and cooled front buckets seats. 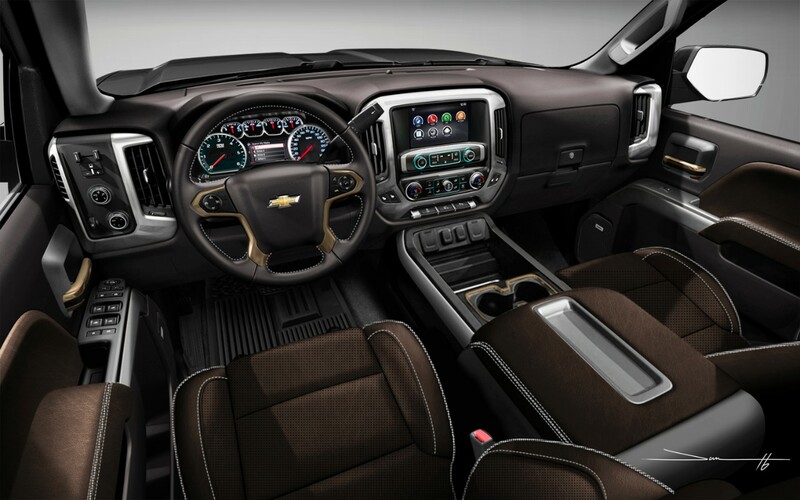 It also gets Chevrolet’s 8-inch MyLink touchscreen interface and more storage in center console, among other things. Under the hood, there are two engine choices; the Vortec 6.0 liter gas-powered V8 with 360 horsepower and 380 ft-lbs torque and the new Duramax 6.6 liter V8 diesel with 445 hp and 910 ft-lbs torque. My tester for the week was the High Country with the new Duramax, 4WD and the crew cab. The huge interior isn’t exactly something that you can jump in; more like climb up to. On the road there is a commanding view. Wheeling such a big truck requires full attention and finding a parking spot requires a bit of forethought. 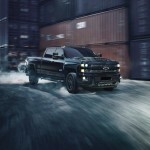 But for someone needing a truck that can tow or haul just about anything, the Silverado should be on your shopping list. 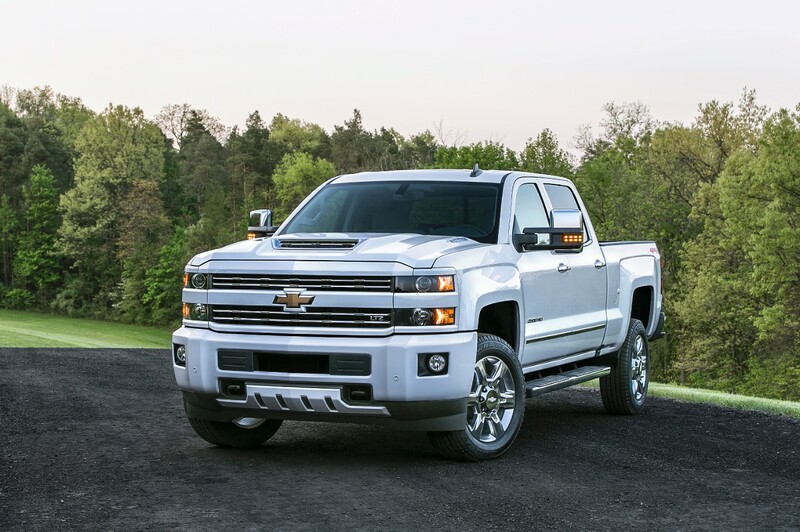 There is little doubt that with the power from the Duramax and the incredible amount of torque, very little could ever stop the Silverado. 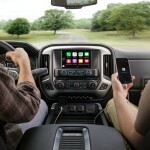 Why it doesn’t outsell the Ford maybe down to marketing more than anything. 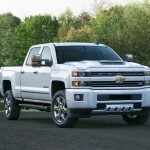 When buying a large pickup not considering the Silverado would be considered a bad decision.